At present, you can find waste tyre everywhere, people have found business opportunities to recycle waste tires. 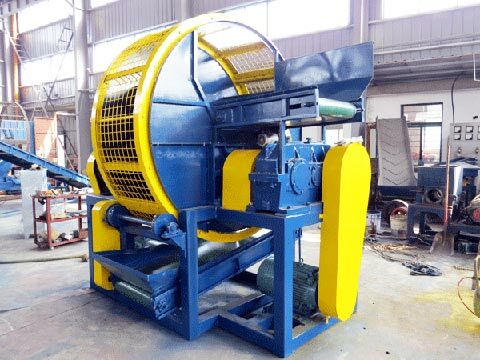 Are you looking for a type of recycling machine to change tyre into rubber powder? Now, Kingtiger will supply you with the best rubber powder production line. Our complete rubber powder production machine can crush the whole tyres into rubber granules with size of 30 to 200mesh. 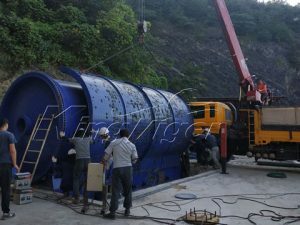 The whole process line includes: tyre wire puller, tyre cutting machine, tire shredder, belt conveyor, coarse crusher, superfine rubber mill, screw conveyer, fiber separator, rubber powder classifier, and rubber vibrating magnetic separator. Tyre wire puller can pull the steel from bear inside the tire completely, after that, the tyre will be easy crushed and cut. The main parts includes: motor, pull hook, rack, cross-shaped board, oil cylinder, hydraulic unit, control handle and guide pulley. 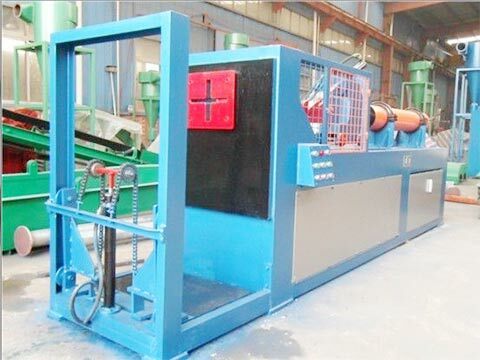 Tyre cutting machine is only used to cut whole tire if its diameter is larger than 1200mm. If size of tire is less than 1200mm, it will not need this step. 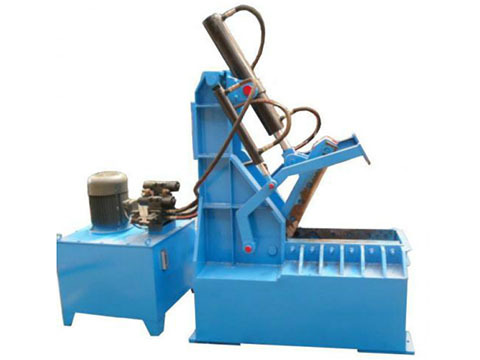 Comprehensive tire shredder can be used to shred used tyre into rubber block. The main parts includes: tire hoist, power system, knife set for shredding, as well as screening. There are two types for sale. This conveyor is designed to convey the whole tire and rubber block. 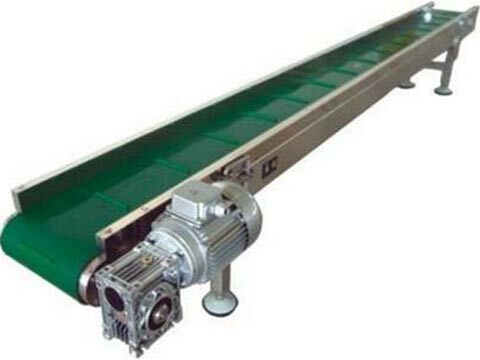 Main parts includes: motor, speed reducer, conveyor belt, roller, rack, back plate, as well as trundle, etc. 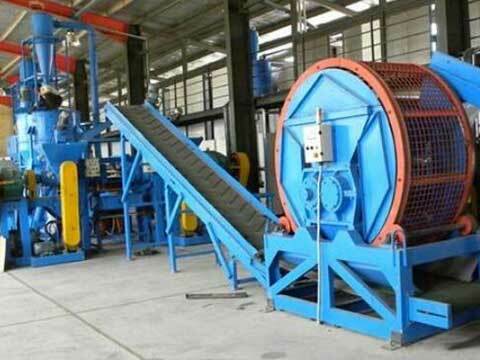 After tires have been crushed by tire shredder, its size is about 50mm; then they shall be crushed by coarse crusher. 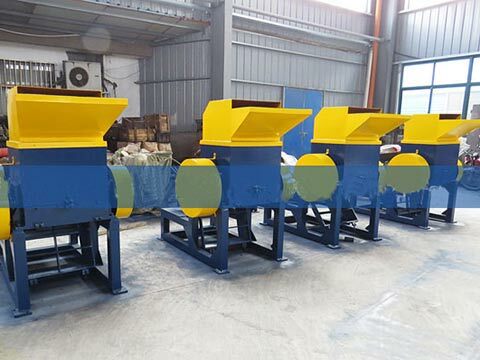 Coarse crusher can crush rubber block into small size of 2-15mm. 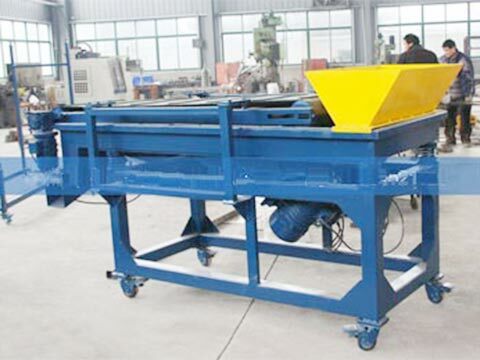 This machine can crush rubber into small granules with 2-3mm. 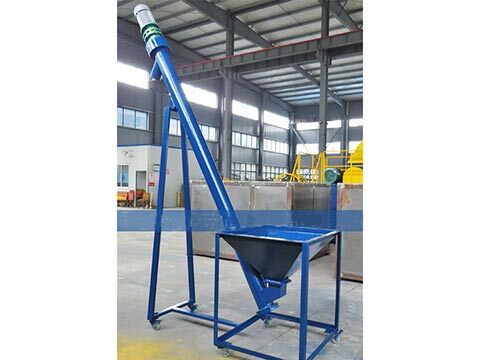 This is conveying equipment that can connect each machine if required; or it can separate rubber powder from rubber granules. 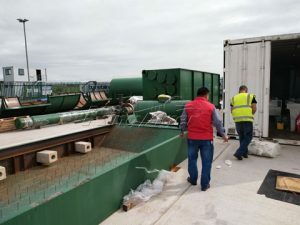 Its main parts include: motor, speed reducer, conveying pipe, screw shaft, hopper, rack, inspection window, separator, rotary valve, as well as discharge hole, etc. 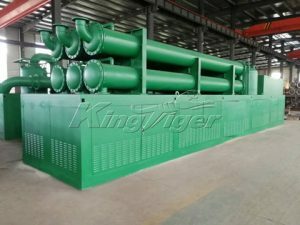 This is air classifier with high performance; it can separate rubber granules from fiber. 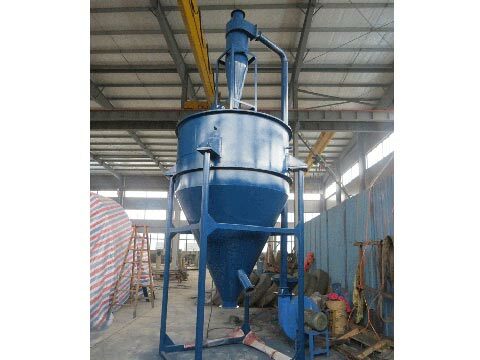 It is convenient to improve purity of granules. 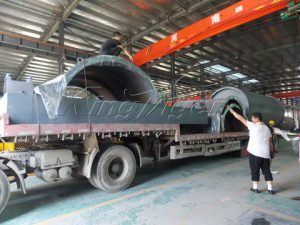 Main parts include: exhaust inlet, air register, flexible pipe, draught fan, rack, cyclone separator, etc. 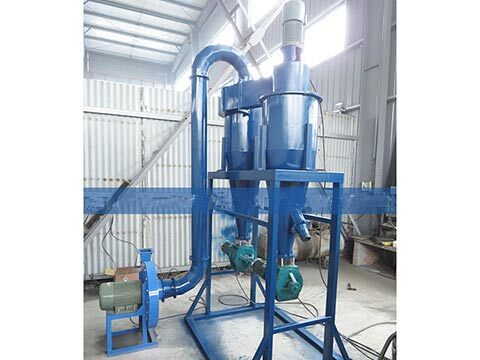 This classifier can separate rubber powder into light powder and heavy powder when powder is high-speed boiling in negative pressure condition. 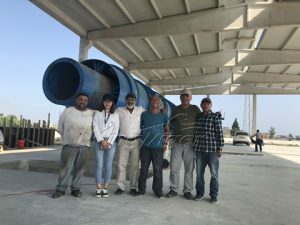 Main parts include: variable-frequency motor, V-type belt wheel, feed pipe, bearig block, rotor, large fan blade, small fan blade, adjusting plate, lining plate, lock valve, etc. 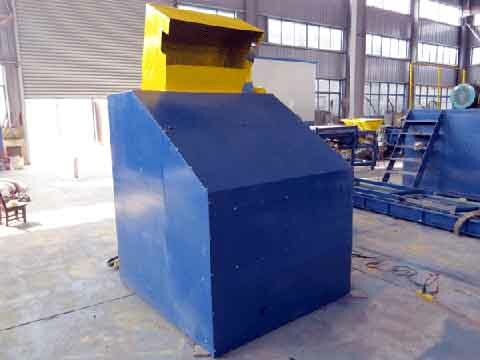 This unit is used for screening of rubber granules. Main parts include: motor, rack, screen frame, spring, discharge opening, etc. This production line is environmentally friendly, there is free of odor, waste water and residue. 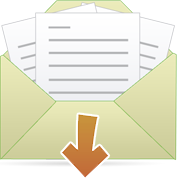 It is researched and developed by our technical personnel, and combined with advanced technology at home and abroad, and it has obtained a dozen patents. It is equipped with special grinding wheels, which can produce 30-200mesh rubber powder.